School safety hypocrisy hinders action to protect students, teachers, and staff. Everyone wants benefits without personal cost or responsibility – an ever evolving condition in today’s society. The not-so-subtle attitude is evident in today’s school safety issues. Everyone, it seems, agrees that something has to be done, and there are many suggestions of which most blame the gun. 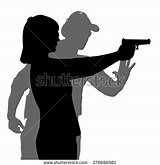 The problem is the mental and moral condition of the people behind the gun – the criminal or mentally defective shooters. They may appear at any time and in most any environment, as has been demonstrated in recent years. But, the immediate issue is school safety. School Safety can be enhanced to a very large degree by armed guards in the school – a suggestion by many. However, how many would be enough, and how many can each school system afford. Where would they patrol or stand guard. The situation calls for, I believe, a dispersed response – armed guards at several dispersed locations. This is very likely not affordable. Another possibility that has been promoted is the arming of teachers and staff. This would provide dispersion of the response to shooters. Responder locations would be largely unpredictable and in close proximity to the shooter. But, this is where a large amount of hypocrisy becomes evident, many, if not most, teachers and staff do not want to be armed and responsible for response. However, they don’t appear to object to someone else putting their life on the line to protect them. The first benefit of an armed teacher or staff member is self-protection. In the process of protecting themselves they would be positioned to protect others. The shooter is probably going to engage the first available target, whether it be student, teacher, or staff. Entry into a classroom will expose the teacher as the first obvious target. The school safety hypocrisy is putting everyone at risk.